In general, a Control System is a collection of electronic devices and equipment which are in place to ensure the stability, accuracy and smooth transition of a process or a manufacturing activity. It takes any form and varies in scale of implementation, from a power plant to a semi-conductor machine. As a result of rapid advancement of technology, complicated control tasks accomplished with a highly automated control system, which may be in the form of Programmable Logic Controller (PLC) and possibly a host computer, etc. In an automated system, the PLC is commonly regarded as the heart of the control system. With a control application program (gored within the PLC memory) in execution, the PLC constantly monitors the state of the system through the field input devices’ feedback signal. It will then based on the program logic to determine the course of action to be carried out at the field output devices. 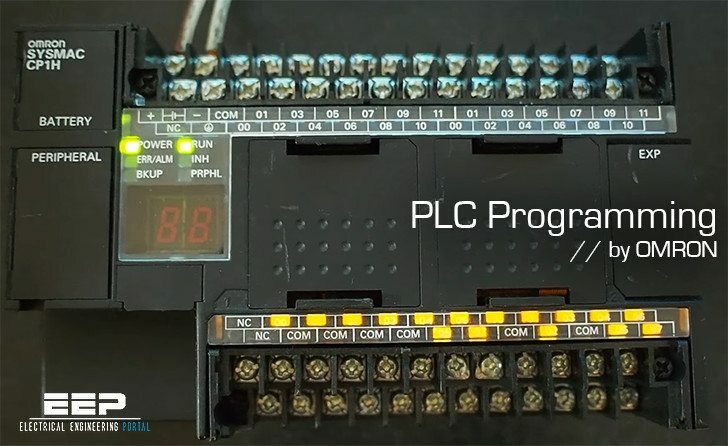 The PLC may be used to control a simple and repetitive task, or a few of them may be interconnected together with other host controllers or host computers through a sort of communication network, in order to integrate the control of a complex process. Hey! I’m EEE final year student. I’m working on the project “Automation of power transmission/distribution ( by PLC and SCADA). I’m actually confused now how to execute this idea. could you please provide me some stuff regarding this? I can not download it. could you check it please?